of trench warfare, the loss of many comrades and of his own innocence. As the great world intrudes, the twin scourges of religion and nationalism lead to forced marches and massacres, hunger grips the town and the peaceful fabric of life is destroyed. 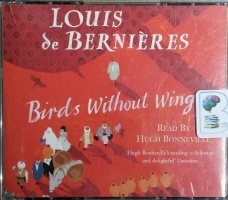 Epic, yet profoundly humane, Birds Without Wings is a glorious tale by one of our finest and best-loved writers.